Even the safest, most experienced motorcycle riders can find themselves involved in a motorcycle accident. No matter what type of motorcycle accident may occur, it can affect your life forever. 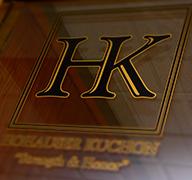 Missing work due to injuries or suffering the long-term consequences of a more serious crash, means you need a motorcycle accident lawyer who has proven experience handling motorcycle cases in Michigan. Our attorneys have that experience. 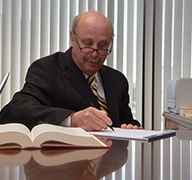 The key factors to a successful outcome in a motorcycle accident case are preservation of evidence, accident reconstruction, and investigation. Having an investigator visit the scene to locate witnesses, take statements, get photographic and video preservations of the motorcycle’s damage (roadway damage if applicable), injuries, and preserve other evidence that may be related to the motorcycle accident, can make all the difference in the outcome of a case. In many cases, we preserve the motorcycle itself. It as a piece of evidence. Michigan’s No-Fault Insurance Law makes motorcycle accidents in Michigan even more complex. In Michigan, motorcycles are not defined as “motor vehicles” meaning they are not obligated to carry no-fault insurance. In order for no-fault benefits to be available to a motorcyclist his or her injuries must arise out of the interaction between a motorcycle and a motor vehicle. In order for a motorcyclist to be entitled to no-fault benefits a motor vehicle must be involved. However, contact with the motor vehicle is not required. For example, if a motor vehicle swerves to miss striking a vehicle and collides with a tree instead, the motorcyclist can get no-fault benefits even though the motorcyclist was not struck by the motor vehicle. If no motor vehicle is involved no-fault benefits are not available to the motorcyclist. For instance, if a motorcycle hits a pothole and the motorcyclist is injured No-Fault benefits are not available to the motorcyclist. Having a motorcycle accident attorney experienced in Michigan’s No-Fault Insurance Laws is imperative to the outcome of your case. If you or someone you know has been in a motorcycle accident, contact us today. 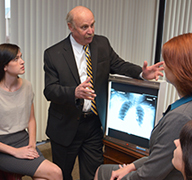 Our consultations are free and our attorneys make home and hospital visits free of charge. We’ll help you receive benefits you deserve.